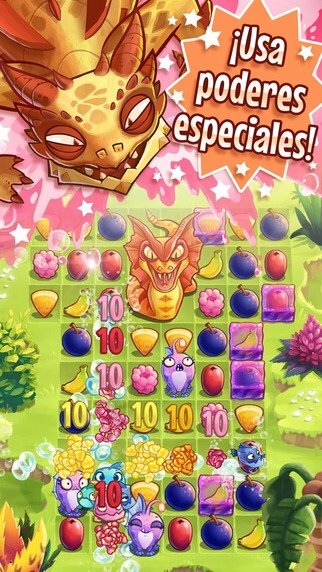 Within the collection of characters created by Rovio, you'll find quite a few that lose their mind for fruit. 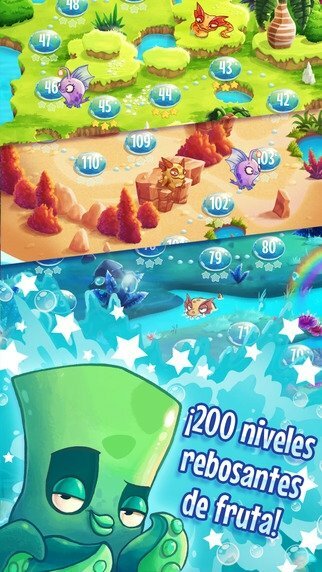 We're talking about the Nibblers, the main features of this refreshing puzzle adventure game for iPhone and iPad in which you have to match identical pieces in groups of three or more. Get rid of the reptiles and eat as much fruit as you can. 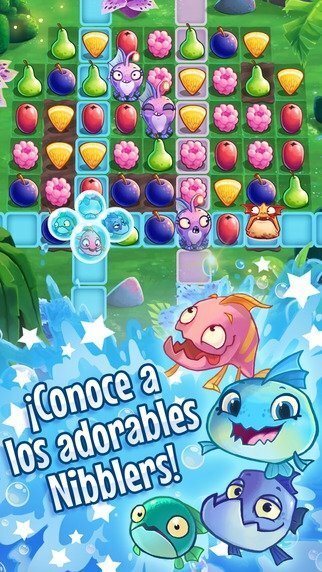 Just like in all match 3 games, your target is to combine groups of three identical figures, in this case pieces of fruit, with the idea of keeping the reptilian enemies of the Nibblers away, as they're not too fond of the idea of the latter eating up all their precious fruit. An entertaining for kids and not so kids, that the creators of Angry Birds have also released for Android in APK format so that you can play it on any smartphone or tablet. 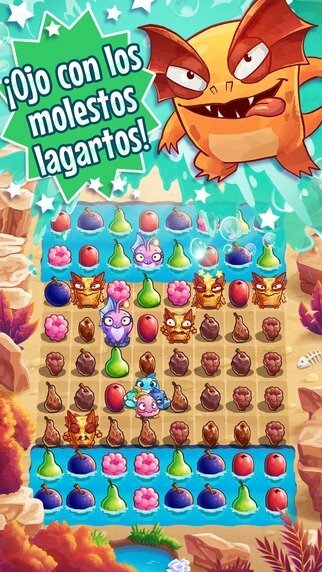 Entertaining Match 3 adventure game set in aquatic and jungle environments. 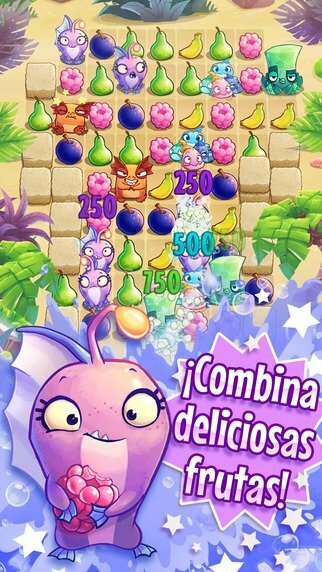 Make combinations of 3 or more pieces of fruit and discover new characters. Compete against your friends on Facebook. Receive help from interesting power-ups.